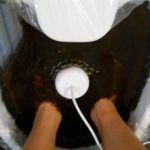 Ionic Detox Foot Bath Scam? 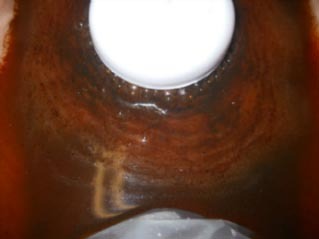 Look at the all of these pictures of resulting water from detox foot baths. Now, notice how different the results are when there are feet in the water. Carefully compare the pictures with feet in the water to the control picture that does not have feet in the water. 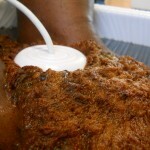 You would not see such a huge difference if the equipment was not actually removing toxins from the person’s body! Indeed, the equipment really is removing toxins. 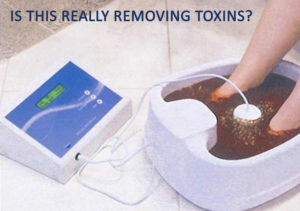 Ionic Detox Foot Bath Scam? Not According To The Research! 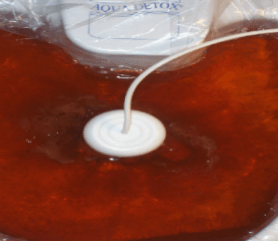 No, the ionic detox foot bath is not a scam and the research proves it! 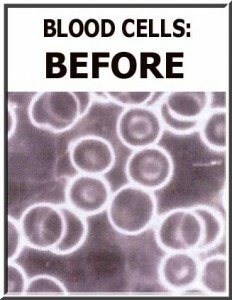 Look at the “BEFORE” and “AFTER” pictures of the blood. The pictures are part of independent research done to determine if our equipment actually works. In the “BEFORE” pictures, taken with a special camera that detects toxins as cloudiness, the cloudiness indicates the presence of toxins. The toxins in the blood (represented by cloudiness) are waiting to be taken into one of the cells (circles) to be broken down. Look at the smaller round cells and notice the cloudiness concentrated inside. These are your white blood cells that are taking in the toxins to try to break them down so they won’t be so harmful to your body. The body breaks down the toxins , releases them back into the blood and removes from the body. Some of the cloudy toxins inside the cells (circles) represent toxins that the cells are unable to deal with properly. For example, toxins such as mercury from fillings in teeth tend to build up in these cells and eventually kill them. It takes a lot of energy to keep making the cells to replace the ones that die as well as all the others needed to manage all of the toxins. Therefore, the body of a person dealing with this situation diverts their energy into this process. Diverting the energy creates fatigue. 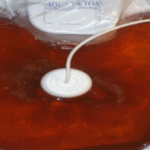 Ionic Detox Foot Bath is Not a SCAM! The “After” picture has very little cloudiness. The ionic detox foot bath really has removed the toxins. That is why we call the process a total body cleanse! Look at the dark area outside the cells (circles). 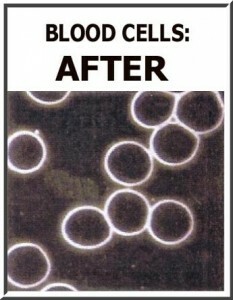 This is the blood that is no longer cloudy because our equipment has aided the body in the removal of the toxins that were present. It looks like the equipment rinsed the cells. The body released the toxins from both the cells and the blood. These toxins truly are what you see collecting around your ankles in the water of the ion foot bath. Since each person’s toxic load is different, the resulting detox water will be very different as you can see in the pictures at the top of this page. Yes, the independent research proves that toxins really are removed! 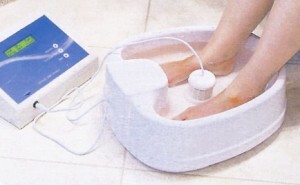 Ionic Foot Bath is Not a SCAM! Look below to see how the results of independent researchers analyzing the resulting detox water. The chart shows that the water had ammonia, nitrates and phosphates that could have only come from the human body. All of this is proof that after the ionic foot bath process (or total body cleanse as we call it) the cells and the blood have literally dumped their toxins from the body! Yes, the research shows that our equipment removes toxins from the body! In the chart below, you can see that no ammonia, nitrates or phosphates appeared in the water when the ionic detox machine was operated without feet in the water. This is seen in the pink row of numbers. However, all three appeared every time the equipment was operated with a person’s feet in the water. This is seen in the blue rows of numbers. Ammonia, nitrates and phosphates are toxic to people. Therefore, we regularly release these into our urine and/or feces. Therefore, it makes complete sense that the body would be willing to release these toxic substances into the detox water. At Optimum Health we regularly test the water for mercury and have been documenting its presence at very high levels for nearly a decade. Various smells have also been documented when they are released during the process. Long-term alcoholics tend to release a lot of alcohol causing the water to smell like their preferred liquor. Narcotic addicts (prescription drug, cocaine and crack addicts) tend to release the same narcotic smell. When asked to describe the smell they have said, “It smells just like the pipe.” or “That smells just like the cocaine.” People who have rotting flesh, once given enzymes to break down the rotting flesh, will have such a strong smell of rotting flesh in their detox water that it makes it difficult to be in the room with them. Therefore, depending on the clients background, the smell of alcohol, narcotics and rotting flesh have all been documented. A company in England produces Optimum Health’s equipment. England’s officials have given our equipment Class IIa medical approval. This puts it in a class all by itself! Therefore, our conclusion can only be that everyone calling this process a scam is using equipment that does not do what it should be doing! Inside Edition indicated that they tested detox water that had nothing but rust in it. This simply indicates that the machines that they used faulty. 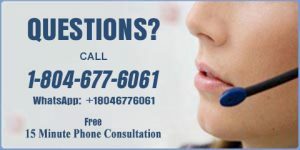 We contacted Inside Edition to make them aware of their mistaken mislabeling of ALL detox equipment on the basis of the faulty equipment they chose to test. We encouraged them to repeat their study using our equipment and they have yet to respond. Medically approved blood pressure cups would not be labeled as unreliable or a part of a scam just because someone began a selling fake blood pressure cups! Likewise, the fact that people have produced bogus versions of our detox equipment, does not make our equipment unreliable or a part of a scam. Inside Edition indicated that everyone’s resulting detox water looked identical. As you have seen in the pictures presented, the water can look very different for people. People from third world countries might be think that it is impossible to take a picture of your brain while it is still inside your body. Their thinking that and presenting “facts” indicating that an MRI machine is a scam, doesn’t change the fact that the MRI machine takes the pictures. It would be irresponsible for a reputable company to make such a mistake and not correct it. Inside Edition should have included our equipment to show that there is at least one ionic detox machine that works. Actually, their story on detox equipment should merely be a warning not to get scammed by companies using imitation equipment. It is just that simple. We invite you to go beyond flawed theories and thinking and look at the real facts. 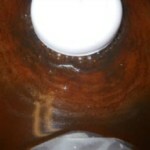 Give a real detox foot bath a try and know the difference!